I have been extremely busy lately, just reinstating that, if you haven’t been able to tell by my absence everywhere on social media, already. But, I will try my best to keep posting regularly from now on. 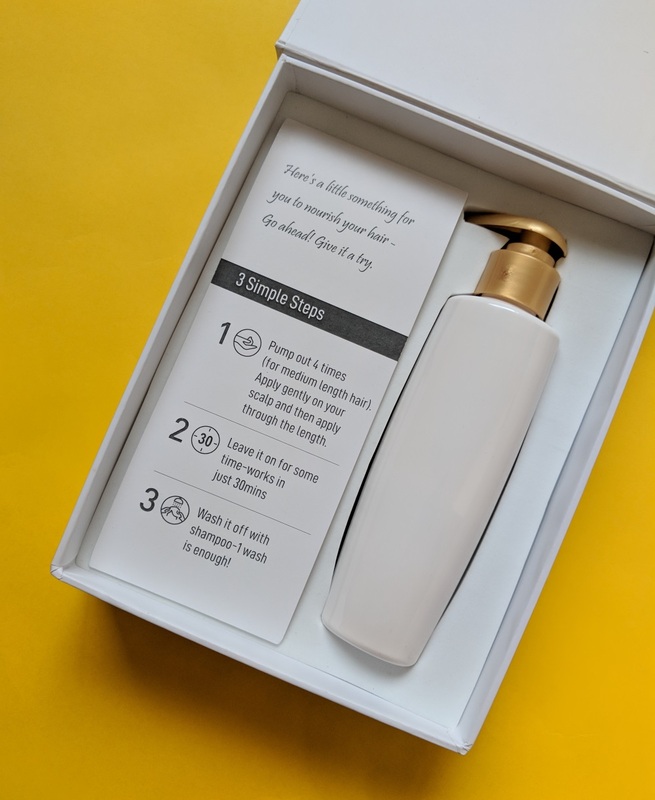 And I found this one product, which perfectly fit into my crazy busy routine! Let me tell you about it! Now with my travelling, the worst sufferers are my hair and skin! For skin I can still carry a few things along, while travelling! But what about my hair!? I found the solution to just that! With meetings, trains and planes to catch and resting a bit, you barely get time to oil your hair, let alone oil hair overnight and wash your hair multiple times! But with this particular product, Parachute Advansed Coconut Crème oil, all you need is 30 minutes and just one wash, to get all the goodness of oiling! 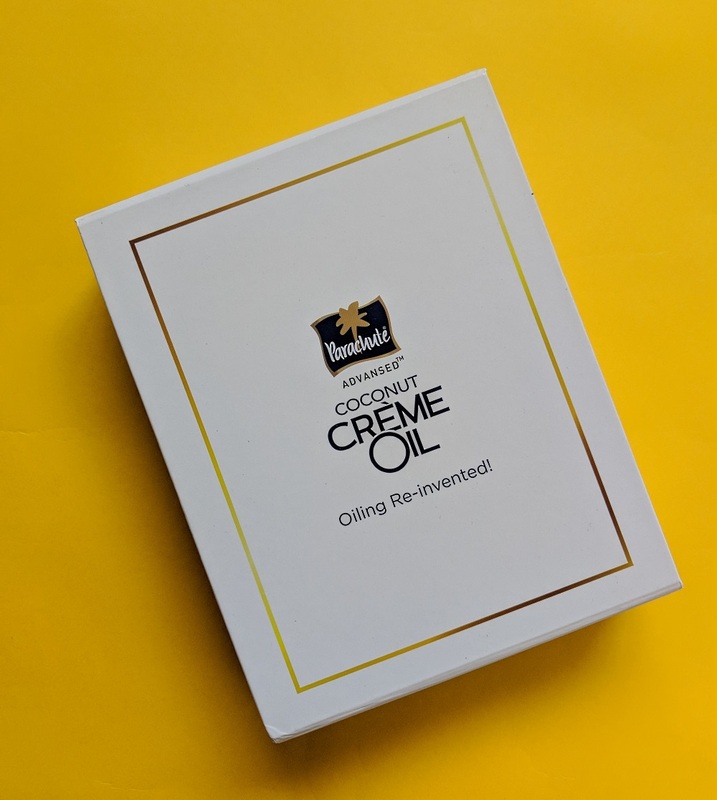 No matter what, we Indians have a special place in our hearts when it comes to oiling with coconut oil, but let’s face it, it can be a bit tricky at times to oil your hair with a busy schedule. But you don’t have to face any of it with this super-efficient product! 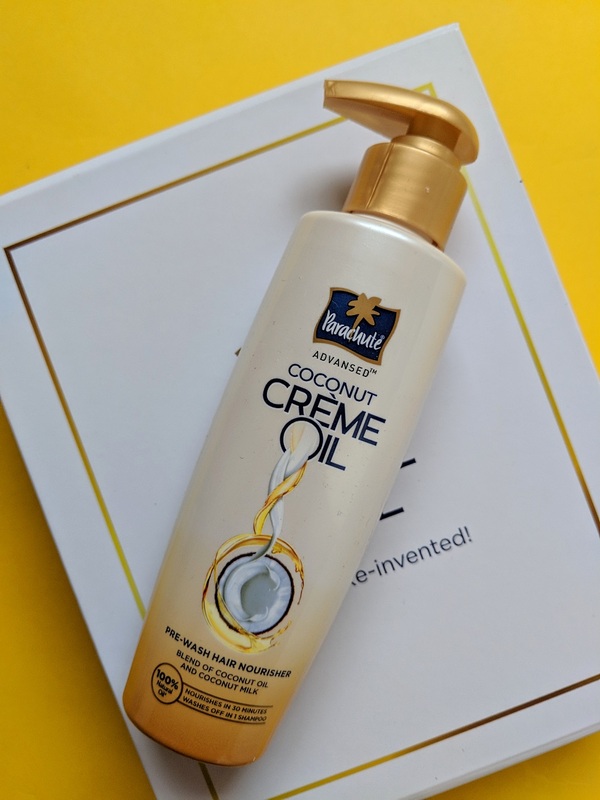 Parachute Advansed has always been my go to brand for coconut oil, and it is delightful to see the brand evolve the way we are and our lives are evolving. I knew that a surprise was coming my way and it turned out to be a hair product with instruction on how to use it. And I used this for a week. Honestly, I loved how easy it was to use and wash off. 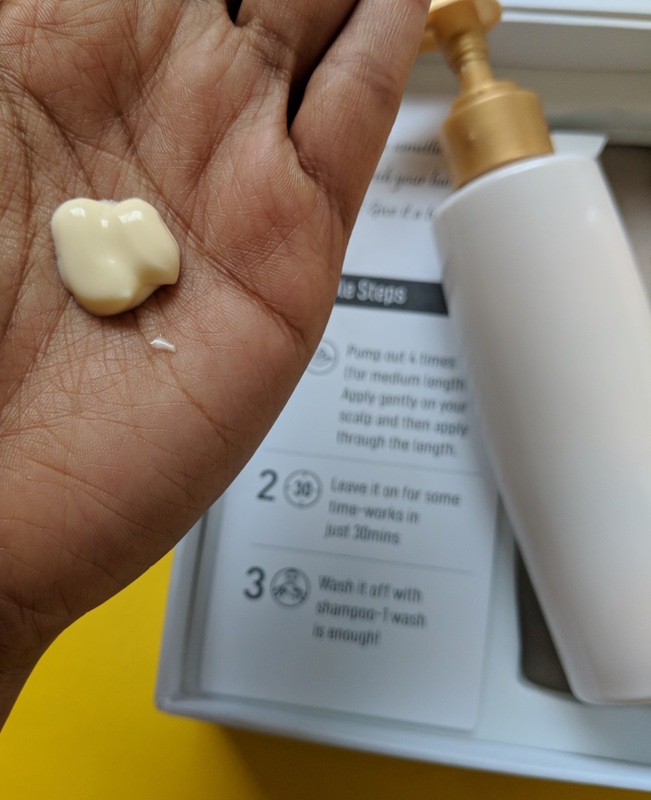 I have been using it for a few weeks now and I am super happy about how effective and easy to use this product is! And, to my delight it does actually work like a good dosage of coconut oil would, and it washes off with just one wash. You do need 5-6 pumps of product for medium length hair and for me around 4 was fine. The product can be used throughout the length of the hair and on the scalp, just like hair oil! It gives your hair a wet look, without feeling heavy or sticky! It also smells nice, the fragrance lingers for about 5-10 minutes and then fades away. I personally like products without any fragrance, but that’s just my personal preference. When I was sent the actual package, my sentiments were like I said previously. It felt good to see the brand I like evolving and coming out with products to suit my lifestyle! As far as the packaging goes, I love the pump packaging, perfect for the traveler, which I am! The price is very reasonable too, proving the point that anything convenient doesn’t need to be priced like a fancy product! 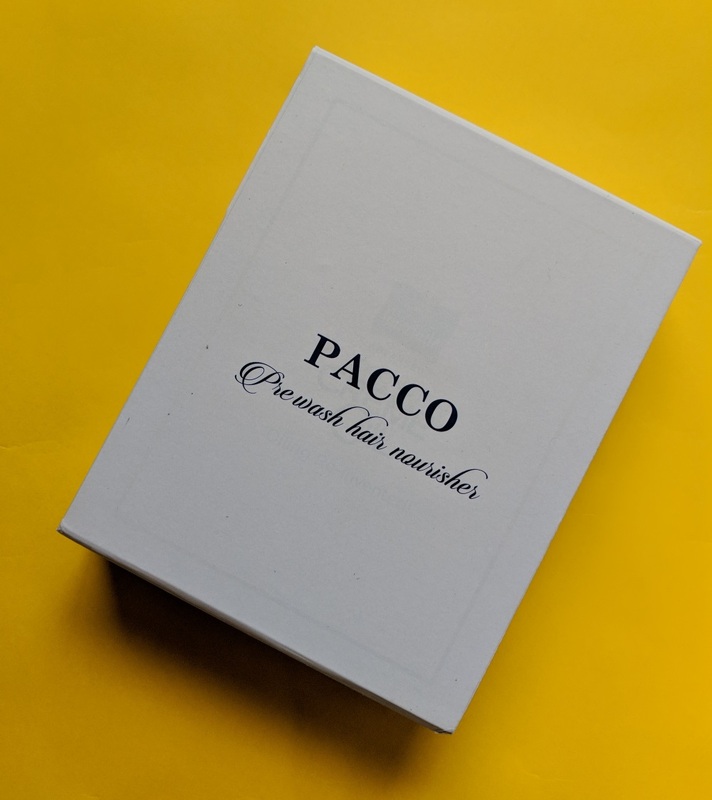 Honestly, after knowing the product, I have used it more and I have honestly loved it! 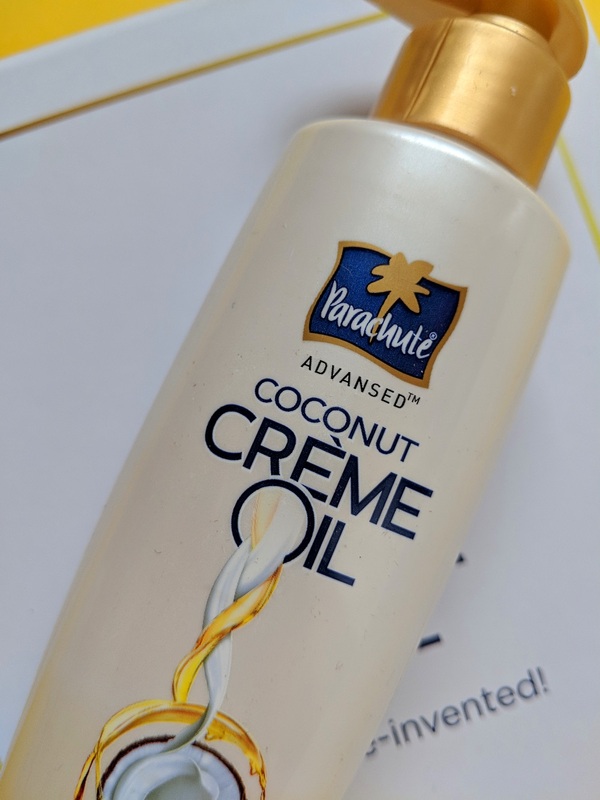 I would totally recommend the Parachute Advansed Coconut Crème oil for you girls and guys, who have a super busy schedule or do not like the sticky feeling of coconut oil. Have you tried this?? Let me know what you think about this!